Arnold Defense, the world’s leading supplier of rocket launchers, has been awarded a $53.8 million contract for the delivery of 2.75-inch rocket launchers and sub components to support the U.S. Navy, Army and Air Force, along with foreign military sales to Australia. Recently announced by the U.S. Department of Defense, the contract includes options that, if exercised, will raise the cumulative total to $74.3 million over a 4 year period, with final delivery expected to be complete in 2023. 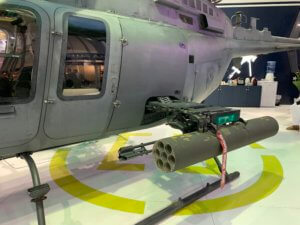 The Arnold Defense contract is for the delivery of a number of their core products; the 7-tube M260 and 19-tube M261 Hydra-70 Rocket Launchers used by U.S. Army helicopters; the 7-tube LAU-68 & LAU-131 series and 19-tube LAU-61 & LAU-130 series used by the U.S. Navy and Air Force; and various launcher sub-components such as Intervalometers and Tube Assemblies. Arnold Defense, founded in 1945 and based in Arnold, Missouri, are the world’s largest supplier of rocket launchers for military aircraft, vessels and vehicles. Since 1961 they have manufactured more than 1.1 million 2.75-inch rocket launchers for the U.S. Army, Navy and Air Force, and a number of NATO countries. Through innovation, dedication, technical expertise and warfighter-first focus, Arnold Defense continues to produce the very best rocket launchers in the world and are committed to manufacturing the world’s most reliable and affordable rocket launchers.